Carrying your baby in a sling or carrier also referred to as ‘babywearing’ is an ancient tradition that is being rediscovered by western cultures and is still very common in South America, Asia and Africa. It is a fantastic way of keeping your baby happy whilst being able to get on with everyday life. Studies show that babies that are carried in slings cry 43% less than those that are not carried, this means that they spend more time in the ‘quiet alert’ state that enables learning as they can interact and take in their surroundings. It promotes bonding with parents (not just mums) and improves breastfeeding outcomes. Studies show that close contact with parents increases oxytocin levels (the love hormone), this promotes bonding with your baby and means that you can learn to recognise your baby’s cues from being in close contact. A sling can facilitate this by providing a way to hold your baby close. Increased oxytocin levels also lead to improved breastfeeding rates as oxytocin is the hormone responsible for milk ‘letdown’. It enables you to get to places a buggy simply won’t reach and keeps baby safe in crowded places. Anyone who has pushed a buggy across a beach, muddy field or through deep snow knows how hard it can be! 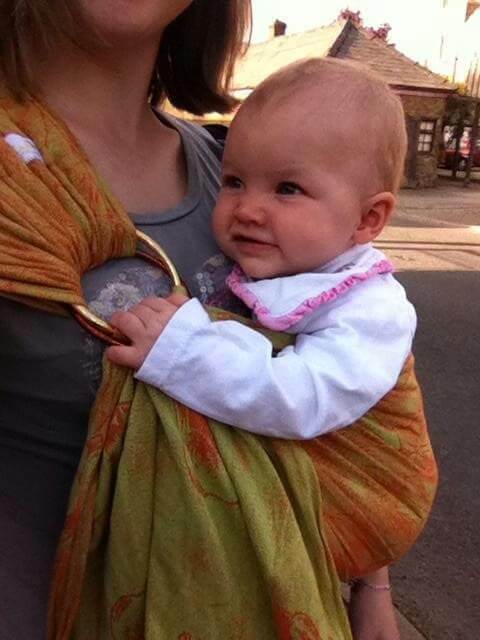 Babywearing makes many things more accessible and simpler, it makes public transport easier, eliminates the need to use a lift in busy shopping centres and crowded places are a breeze to navigate without pushing a buggy through crowds of people. 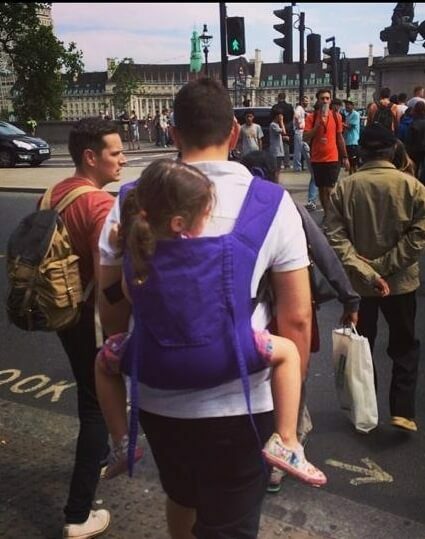 It’s also much nicer for your baby as they get to see the world from your point of view, no more views of knees and bags!